One of the most experienced coaching staff around! 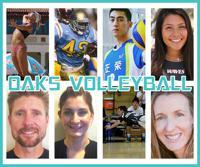 Oaks Volleyball has one of the most experienced Volleyball and coaching staffs around. They all have either played at the Pro or Collegiate levels and each have coached volleyball players of all ages. Together, they are an amazing group of people that here to develop solid and skillful volleyball players.